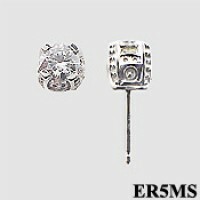 Stock #ER5MS :Antique/Estate Earrings. 1 ct total weight / 5mm each. Available in other sizes by special order.